novel technology « pixels …everywhere. Chris Harrison of Carnegie Mellon University and Microsoft researchers have been collaborating on using the human body as an input surface. They call this approach “OmniTouch”. Chris Harrison’s earlier project called ‘Skinput’ had similar goals and had a more interesting name but OmniTouch has some interesting advances over Skinput. Read on. 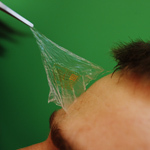 If this looks familiar to you, you may be thinking of Pranav Mistry’s SixthSense project at MIT Medialab a while back. OmniTouch has some interesting advances over SixthSense, though. Mistry’s SixthSense also projected an image on ones body but used fiducials (colored marks) on the tips of the users fingers. A wearable camera tracked the fiducials and a computer deduced if a finger was touching a projected input point. Harrison’s Skinput used a picoprojector to display an image on a body surface like a hand or a forearm. 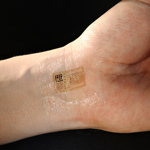 Bioacoustic techniques using a specially-designed armband detected taps on the skin and, with a bit of signal processing, could determine where on the skin the tap occurred. Skinput needed an armband which could be covered by clothing so it was a bit less obtrusive than the SixthSense fingertip markers. 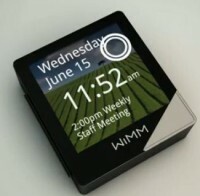 OmniTouch enables a wide variety of surfaces to be input devices, not just a body surface. 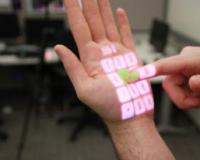 It uses a wearable projector and camera like SixthSense, but doesn’t require SixthSense’s markers on ones fingertips. OmniTouch uses a depth sensing camera, similar to Kinnect, but capable of shorter focus distances which increases flexibility. So, for example, one could use a wall or a pad of paper as an interactive surface. Depth sensing allows touch as well as hovering gestures. The concept is very interesting. Wearing a projector and a depth sensing camera is clunky, but the concept is interesting…. interactive pixels everywhere in front of you. It’s just a proof of concept… now we need smart companies to make it small, stylish, and usable. Check out the video below from Chris Harrison’s website. A while ago, I wrote about Sifteo’s game tiles. Pretty cool, but seemingly single-purpose. 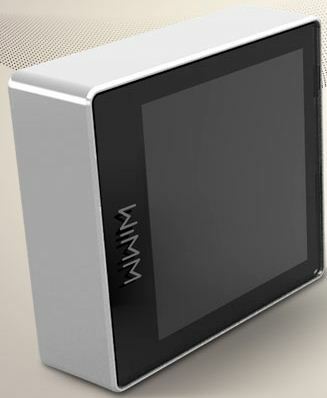 WIMM Labs is developing a tiny tile-like device, but they’re treating it like a platform. In other words, it can be programmed for any number of uses and integrated into other products. The specs seem pretty impressive: 32GB storage, touchscreen, Wi-Fi, bluetooth, accelerometer, Android OS. Apparently it also includes an expansion connector, too. Small — 32mm x 36mm x 12.5mm. I guess they’re battery operated but I couldn’t find power consumption or battery life specs on their web page. No mention of the availability or price on their website as of this writing. But if it’s low enough in cost and with the claimed connectivity, I can see these little pixelized devices going pretty much everywhere. In singletons. In groups. In the hands of creative developers, some really interesting uses are going to occur. Sifteo, now WIMM. I think we’re going to see a lot more of these kinds of devices. Hmmm…if they could just shrink the bezel a bit more….